The BJP will release its manifesto on Monday for the Lok Sabha polls scheduled to start from 11 April, with issues of development and national security set to be its key highlights. 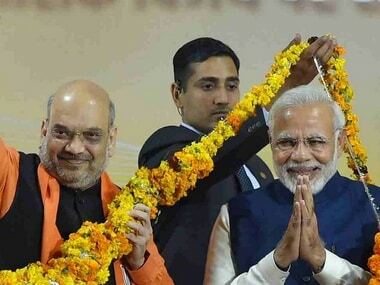 Top party leaders, including Prime Minister Narendra Modi and party chief Amit Shah, will be present at the launch of the manifesto, described by the BJP as its "sankalp patra". 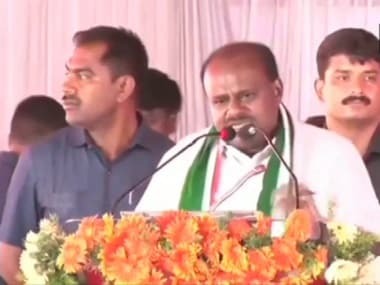 With the Congress manifesto putting major thrust on welfare measures, including a promise of giving Rs 72,000 to the poorest 20 percent households in India, the ruling party is likely to make a slew of promises to woo different sections of the society, especially farmers, youth and women, besides the downtrodden. File photo of Prime Minister Narendra Modi and BJP president Amit Shah. With only a few days to go for the first phase of the Lok Sabha election, Modi will address public meetings in Maharashtra's Osmanabad, Karnataka's Chitradurga and Mysore, and Tamil Nadu's Coimbatore. Uttar Pradesh chief minister Yogi Adityanath will also address a rally in Uttar Pradesh's Bijnor, Muzaffarnagar, Shamli and Baghpath. 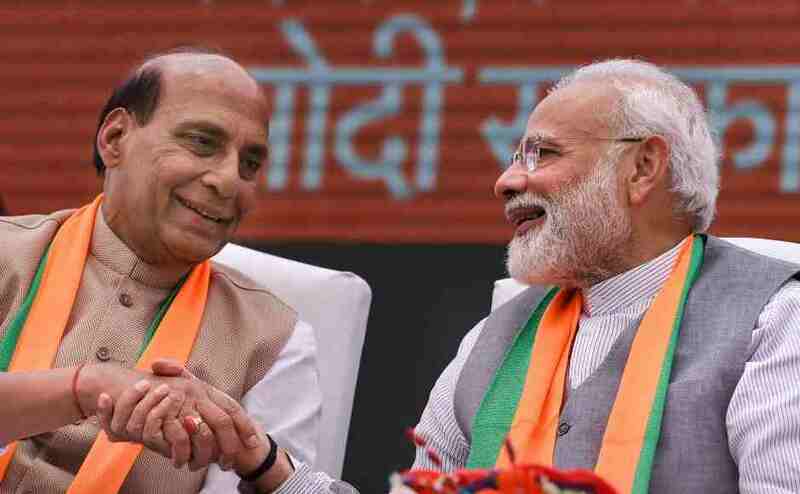 With the tag line "Phir ek bar, Modi sarkar", the BJP on Sunday unveiled its campaign highlights, which included the Prime Minister Narendra Modi government's "befitting" reply to terrorism by "hitting terrorists by entering enemy territory". Launching the campaign, party leader Arun Jaitley said the choice for people in polls will be between the "cohesive and tested" rule of Modi and "chaos and mahamilawat" offered by the Opposition. The party's campaign will centre on Modi's five-year performance, including on the national security front, "honesty", and his ability to take big decisions, Jaitley told reporters. 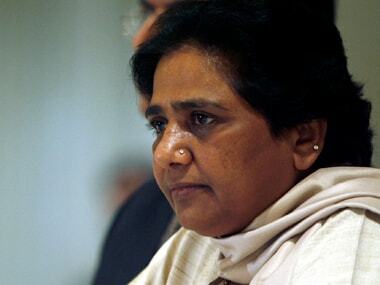 The main Opposition party Congress too announced its campaign theme on Sunday. 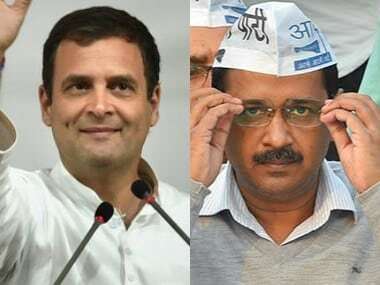 'Ab Hoga Nyay' will be its slogan for the Lok Sabha polls. The party launched a campaign centered around the theme of 'justice', while alluding to the party's proposed minimum income scheme and the 'anyay' (injustice) "prevailing under the BJP rule". India on Sunday rejected as "irresponsible" and "preposterous" Pakistan foreign minister Shah Mahmood Qureshi's claim that India was planning to carry out another attack on Pakistan, saying his comments were aimed at whipping up war hysteria in the region. Qureshi told reporters in Multan that Pakistan has "reliable intelligence" that India was planning to attack Pakistan again between 16 and 20 April, adding five permanent members of the UN Security Council were apprised about it. In a strongly worded statement, External Affairs Ministry spokesperson Ravesh Kumar called Qureshi's comments a "public gimmick" appearing to be "a call to Pakistan-based terrorists to undertake a terror attack in India". The Income Tax Department Sunday launched pre-dawn raids at 52 locations, including in Delhi and Madhya Pradesh, against close aides of Madhya Pradesh chief minister Kamal Nath and others on charges of tax evasion and hawala transactions. A team of nearly 200 officials from I-T department and state police swooped down on the premises at around 3 am and recovered undisclosed cash amounting to Rs 10-14 crore, PTI quoted I-T officials as saying. A preliminary report of the raids has been shared with the Central Board of Direct Taxes, the policy-making body of the I-T department, and the Election Commission in Delhi. Locations in Indore, Bhopal, Goa and Delhi (Green Park) were raided and included Nath's former officer on special duty Pravin Kakkar, former adviser Rajendra Miglani and executives linked to his brother-in-law's firm Moser Bayer, and his nephew Ratul Puri's company. The BJP hit back saying thieves were now having a complaint against the 'watchman'. "Blackmoney worth crores was recovered during the Income Tax Department's raid at the house of the private secretary of Madhya Pradesh chief minister Kamal Nath. This has made one thing clear that those who are thieves have a complaint against the watchman," BJP's national general secretary Kailash Vijayvargiya said. The bidding process for stake sale in the cash-starved Jet Airways is likely to commence from Monday as the bid document is still to be given a final shape, reports said. The SBI-led consortium of 26 lenders, which now has the management control of the full-service carrier under a debt-recast plan, last Thursday said bid for the stake sale in Jet Airways airline will be issued on 6 April. "The expression of interest (EoI) for stake sale in Jet Airways will now be issued Monday (8 April)," a source was quoted by PTI as saying. The UK’s Competition and Markets Authority (CMA) has begun an investigation into the three companies’ business practices over their subscription renewal methods. The objective of CMA's investigation is to ensure that the auto-renewal policies enforced by Xbox, PlayStation and Nintendo give consumers enough notice before charging more money. Kings XI Punjab and Sunrisers Hyderabad will clash in match 22 of IPL 2019 on Monday. Both teams will look to bounce back from disappointing losses in their respective previous matches. While KXIP lost their previous match to CSK by 22 runs, SRH succumbed to a 40-run win against MI. Both KXIP and SRH have six points each with three wins from five matches.